Very good condition. Mostly used for studio projects. Serviced after every project. 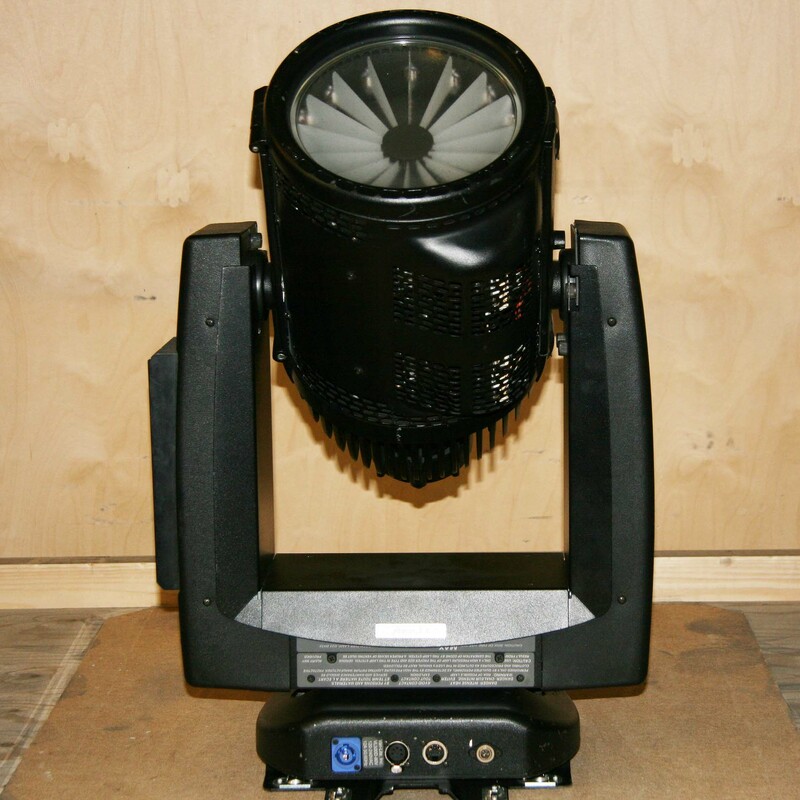 Sold in 2-way or 3-way flight cases, price is for single fixture. The VL500 80v has three-colour changers holding 16 frames of standard dichroic media (magenta, blue, and amber), providing a full spectrum of colour cross-fades, with a wide range in the saturated colours. 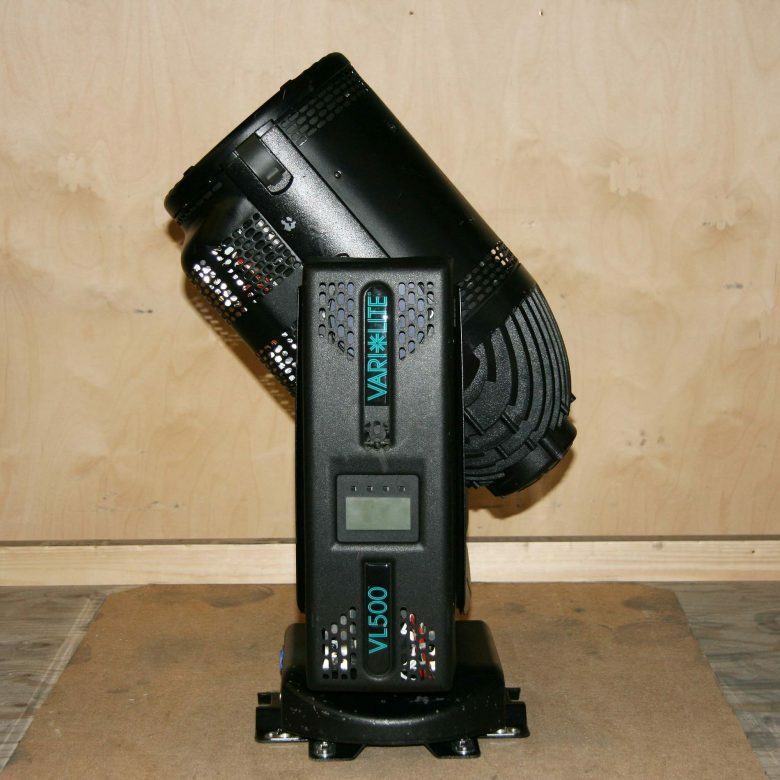 For intensity control, the VL500 80v utilizes an internal dimmer supplying a dimming curve that matches the rest of your rig. To control the beam it has16 radially mounted diffuser filters. For additional beam control, the VL500 80v has the option of six interchangeable lenses, including clear, stipple , 8-row, 10-row, 12-row, and Buxom. Colour: A radial colour changing mechanism features independent magenta, blue, and amber colour control. Prism/Iris/Beam effects: A selection of six easily interchangeable front lenses work with the internal diffusing mechanism to provide a variety of beam sizes and shapes. In each case set the control channel to the value for the required action hold the value for 3 seconds then set the channel to zero (0) in a zero count or snap. Any values detected for less than 3 seconds prior to zero will invalidate the command.